How simpleERB can help set you up for a successful Valentine’s service this year. With Valentine’s Day fast approaching, is your restaurant already taking bookings and prepared to capitalise on what could be the busiest night after the festive silly season? Rather than have your regular floor setup, you may want to optimise on tables of two’s and split up your normal larger tables for either just the one night or for a few days over the Valentine’s weekend. 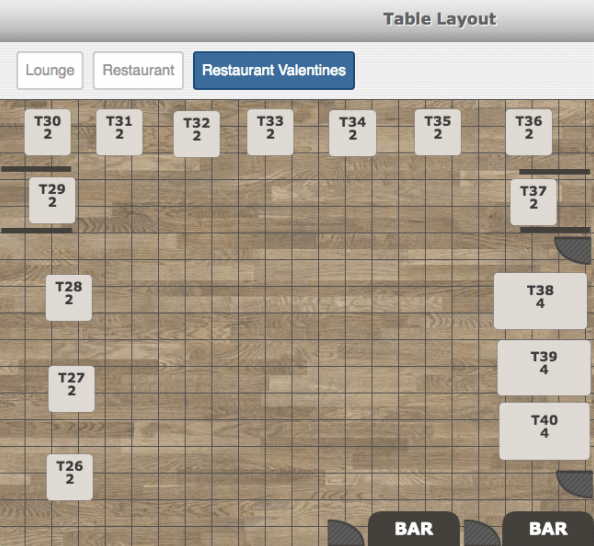 What you do is create a new area called for example, ‘Restaurant Valentines’ with the layout you require. Then in advanced settings use the closed area function to close out your usual restaurant area/s for these dates. In addition to that, make sure that the Valentines area was closed from now until the dates required in February and then again after these dates until a date much further in the future. If you already have advance bookings on these Valentine’s booking dates, you will need to move the bookings onto tables in this layout in order for you to be able to close off the area. You could keep this area in your layouts to be used again or diarise a reminder to delete the area once the event has passed. You are now able to take bookings without having to worry about rearranging tables once bookings have been made. 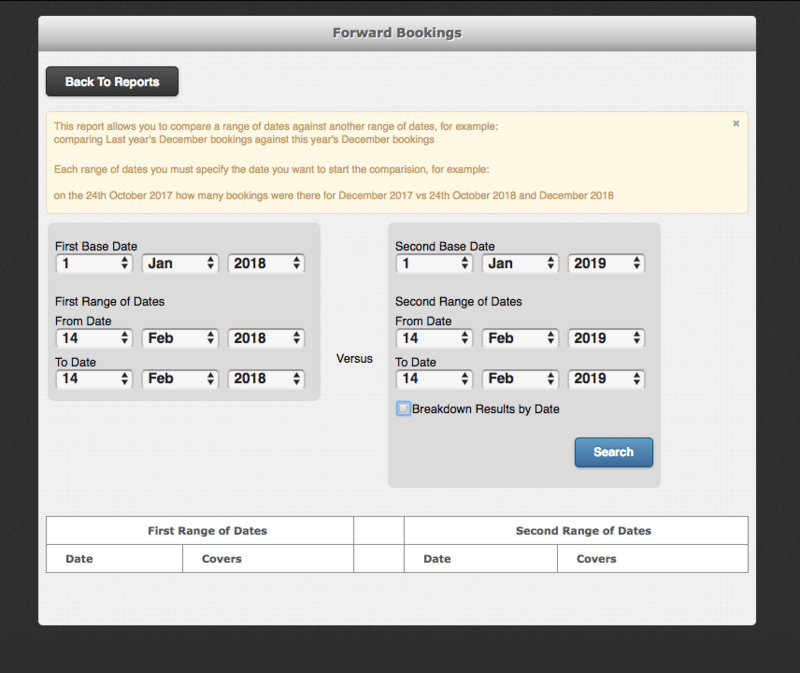 The forward booking report is simple but we believe it is very useful for planning ahead and forecasting. For example, you are planning on having a rose for every couple on the table. So you need to estimate how many you will need. You can create a report which shows you how many covers you have booked as of today, for 14 Feb 2019 compared to the forward bookings you had on this date last year. So if you find that you only have 85% of last years bookings, then you now know that you probably need to do some extra marketing, create special offers in simpleERBand email them to your customer base or advertise on Facebook, Instagram. If however, you see that you are 25% up in bookings, then you will need to recruit more staff than you had rostered last year and certainly buy more roses! If you find you need to boost your bookings, you can download your simpleERB customer list to create marketing campaigns. You can also download it specifically for customers who made bookings last Valentine’s Day. 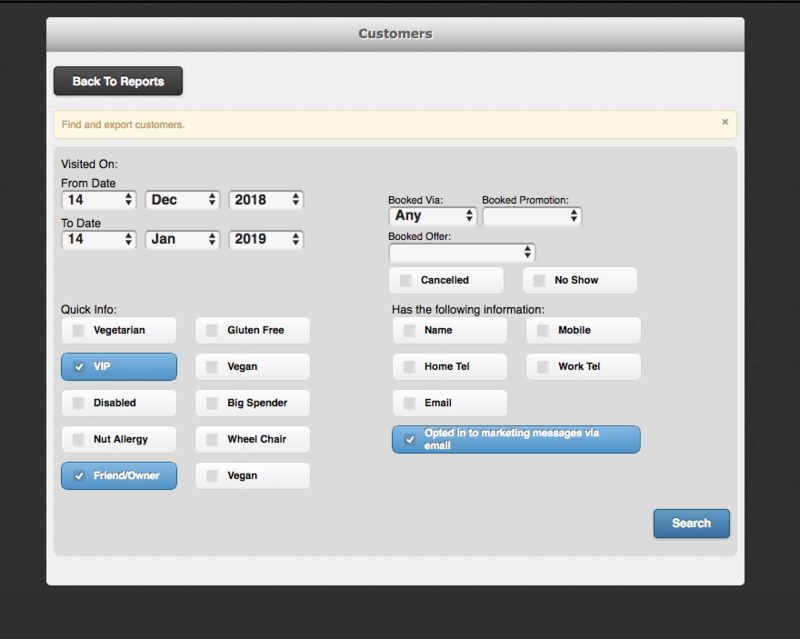 To download your customer database, go to reports, expand the list of reports and choose customer export. You can filter the list using various different parameters for example, you may wish to only download a list of customers who dined on Valentine’s or you may want a list of customers you have tagged with a particular quick info label. After clicking search, you will have the option to export the list as a .xls file. Once you have the report, you can then use this to upload to a mail marketing website. See the link below to a helpful article on how to use your user list and us Facebook Ads with Mailchimp. Already advertising your Valentine’s availability on Facebook? Don’t forget you can further target your Valentine’s dining advertising to Facebook users in your area who are similar to your customers. Use Facebook’s lookalike audience feature to do this. Make sure you narrow your targeting to people who are in a relationship though!